We Are Accepting New Petsimonials! If you have had an experience with Belcaro Animal Hospital that you would like to share, please submit a photo of you with your pet, or of just your pet, along with a brief description of your experience to the following email address: [email protected]. 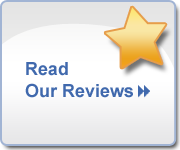 "Dr. Herman and the entire staff at Belcaro take incredible care of my dogs and of me. Dr. Herman has endless knowledge and enthusiasm and is always looking for the right combination of testing, medication, procedures and holistic compliments. He strikes the perfect balance between all options and in my opinion, nothing is missed or overdone. I've been taking my animals to Denver area vets for 25 years and I'm so happy to be a client at Belcaro. Belcaro also has wonderful front desk staff and vet techs … each one is professional and caring which is not easy to maintain in a very busy practice. This is a picture of my beloved Jake who would like to thank Dr. Herman very much for everything he did to keep him healthy and happy." I wanted to give a special thanks to all the Vets at Belcaro for being so awesome! Our Chihuahua, P-Nut, has always received the best care from every Vet we've brought him to. Dr. Bechtold did a great job making sure P-Nut wouldn't be having any more P-Nuts running around...AND fixed his hernia while he was at it. It was probably all those feel-good drugs he used for him that makes P-Nut like him. Dr. Otero always seems to get the short end of the stick as we mysteriously seem to get scheduled with her every time P has a stomach ailment. She's still happy to see him, even if there's some kind of swab involved (though it has been a pretty long time). When P-Nut was extremely sick with a mystery illness in spring of 2009, and we thought we were going to lose him at only 3 1/2 years old, Dr. Yrisarri worked very hard to help us figure out what was going on. He went above and beyond to treat him and make sure we exhausted all the resources we could to make him better. A trillion blood panels, and 6 hours/day of fluid therapy for 5 days later, P-Nut was back to his old self, and has been great ever since. Now that we have our new addition, Tilly (a Bernese Mountain Dog mix), Dr. Moore and Dr. Yrisarri have both been great with her so far, and she apparently doesn't even feel the shots when she gets vaccinated. They also make sure to answer all the questions my husband has about properly raising a puppy since Tilly is his first, and I know he's put at ease when they spend a little extra time talking with us. The office staff is also very friendly, and we can tell they care about the animals just as much as the Vets do. Tilly and P-Nut are always spoiled by them and their treats! The bottom line is, no matter what the circumstance and no matter who the Vet, I know we'll always be able to trust that my dogs are getting the best at Belcaro. Thanks a lot! We have been clients of Dr. Herman and Belcaro Vets for over 14 years! He has taken such excellent care of all of our furry family members in all that time that we couldn't imagine going anywhere else, EVER! Dr. Herman has performance emergency surgeries on two of our kitties and went above and beyond to develop an aggressive treatment plan for one of our dogs to give her an extra year of a happy and fulfilling life (while two other professionals were basically ready to write her off). As a more recent (and happier) example of the exceptional care we receive from Belcaro, my daughter and I visited them to have get our kitty's booster shots and a nail trim. When we arrived, we discovered that there was a mixup and we actually didn't need to have a booster shot and so we were informed by the front desk folks that we could forgo the Dr. visitation charge if we just had a tech do the nail trim. "OK", I said, "but since we're here (and my daughter came because she likes Dr. Herman) can we just say 'Hi'?" They checked with Dr. Herman and, the next thing we know, we're talking with him in one of the treatment rooms and he's giving our kitty a *free* health exam and nail trim! I'd give Belcaro 10 stars if I could. Dr. Herman and all of the staff at Belcaro Animal Hospital make this world a better place and they do it with care, compassion, wisdom and love. I have had dogs my entire life. Thus, I have had many vets in my life. And, never have I experienced such great care of my dogs before I met Dr. Michael Herman at Belcaro Animal Hospital. Further, the staff at Belcaro treat the human parents of the 4-leggeds that they see with respect and care. One is so vulnerable when their 4-legged child is not well, and in this state of vulnerability, one needs some TLC in the form of love and respect. The staff succeeds at this 100% of the time. The only challenge for me with Belcaro is that they also don't treat humans. Smiling out loud with love in my heart for Dr. Herman, all the doctors at Belcaro and the staff. Thanks Dr. Herman for your loving and professional care for our newest family member! We appreciate you and your staffs' genuine concern for all our pets for the past 10 years. We have always felt like we have been treated as part of the Belcaro Animal Hospital P.C. family. Its so reassuring to know that we don't have to worry when we leave our dog for medical treatment or a boarding stay. Thank you so much! The Johnson Family & "Magic"
I think the world of Dr. Herman . Not only does the dr and team at Belcaro Animal Hospital P.C. provide the best veterinary care possible, but also unmatched personal service and of course lots of love! I trust you with my most precious posessions...and refer all my friends and family to Belcaro Animal Hospital P.C.. Thanks so much to all of you! Dr. Herman has taken exemplary care of our family's pets for several years, and we have been extremely pleased with the caliber of care we have been provided. We always feel questions are welcome, and Dr. Herman spends whatever time is required to provide answers, whether we are in the office or just speaking on the telephone. Somehow Dr. Herman manages to remember our pets' strengths and weaknesses among all of her other patients. When one of our pets is ill, Dr. Herman makes every effort to calm our fears while treating our pet in a gentle loving manner. Dr. Herman phoned our home on more than one occasion inquiring as to the condition of an ailing pet, indicating genuine caring and concern, as well as willingness to go above and beyond the call of duty. We are extremely grateful to Dr. Herman for providing years of quality care to our beloved babies. Dr. Herman's loving and understanding way makes us feel we have found the best veterinarian and new friend. The Yoshino Family, "Sushi & Miso"